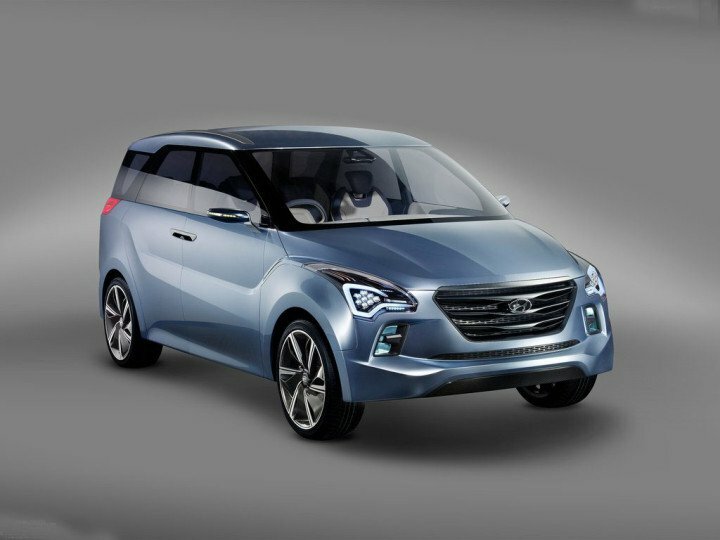 By now it has become fairly well known that Hyundai Motor India Ltd (HMIL) intends to come up with an MPV for our country’s rapidly growing MPV market. Until now, nothing concrete was known about the Hyundai MPV India launch date, but recently, the Indian subsidiary of the popular Korean auto giant confirmed that it plans to launched its MPV by 2017. With this, all rumous of Hyundai MPV India launch date falling in the year 2015 can be put to rest, as Rakesh Srivastava, Vice President, Hyundai Motor India Ltd recently revealed the timeline of the Hyundai MPV India launch. Mr. Srivastava has said, “We will launch a compact SUV next year. We will also bring an MPV, but that will not be before 2016.”The upcoming Hyundai vehicle has been internally codenamed as IP and Hyundai plans to go head on head with the likes of Renault Lodgy and the speculated Toyota Innova Cross with its upcoming model.In all likelihood, the price of the upcoming Hyundai MPV in India would be kept at INR 9 lacs. It is expected that the upcoming Hyundai MPV will be based on the Hexa Space Concept from the 2012 Auto Expo, New Delhi. Highlights of the car’s styling will be the various bits coming from Hyundai’s Fluidic Sculpture design language. Engine options might be shared with the current generation Hyundai Elantra, which means that the Hyundai MPV for India will get the same 1.6-litre, four-cylinder, turbocharged diesel engine. As aforementioned, the Hyundai MPV would rival the Renault Lodgy and the rumoured Toyota Innova Cross. Also, we won’t be surprised to see it pitted against the top-end variants of the Maruti Suzuki Ertiga and the Honda Mobilio. Watch this space at AutoColumn for more on the Hyundai MPV India launch date and other related information.